We've been really lucky that the arrow has always been a great car passenger on our adventures. 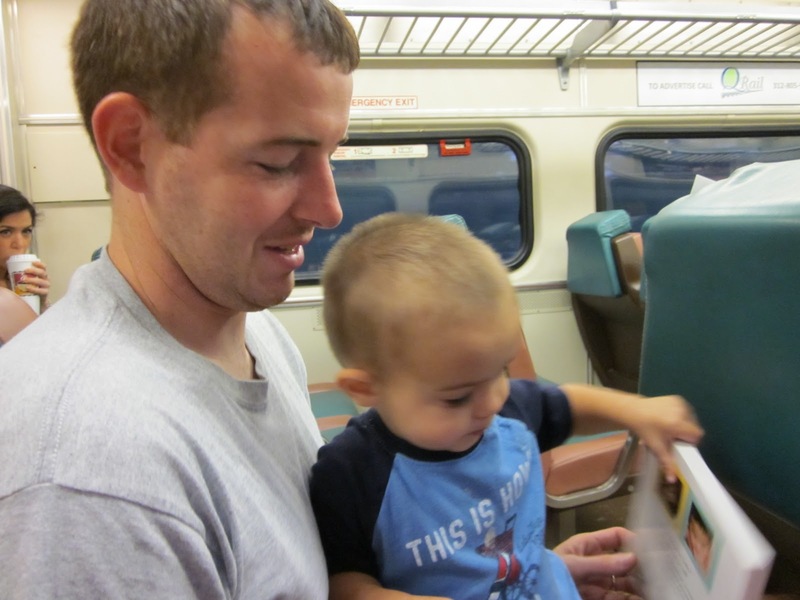 But when we went to Chicago for a morning back in September, he got to experience the thrill of train travel. There's a commuter train service that runs across the northern part of Indiana into downtown Chicago. Since we were already up north camping at Warren Dunes State Park in southwest Michigan, we decided to take the train instead of driving into the city. We spent the two hour trip traveling from Michigan City, Indiana straight into the heart of Chicago reading books, waving hello to the commuters going into the city, and eating Cheerios. 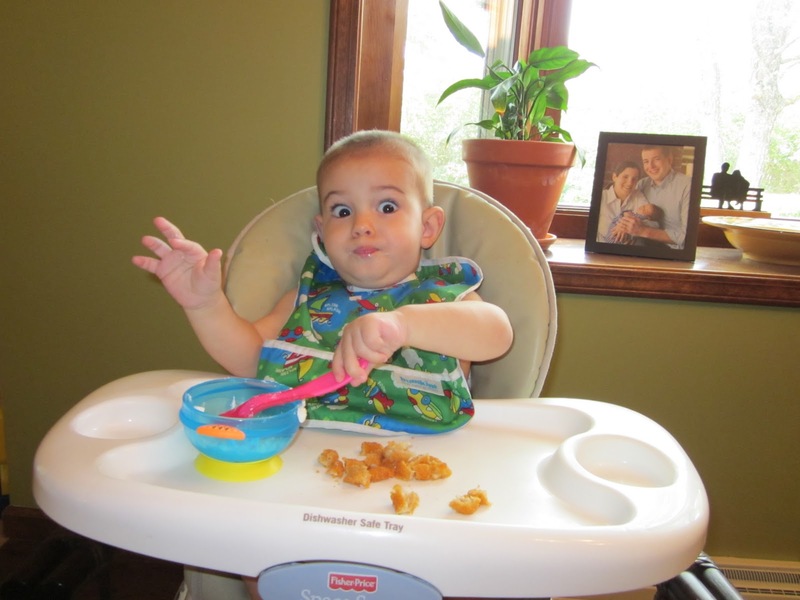 I was worried there would be no going back to the isolation and confines of his carseat after all that fun. If you're considering taking the South Shore train line across northern Indiana and/or into Chicago, you can read more about our trip at my post at the Indiana Insider. I'm no expert on taking a train, especially domestically. But we had a great experience. Here are a few reasons it's my new favorite mode of transportation. There's more room to move around. You can get up and move if you need to. The seat in front of us wasn't within kicking distance of the arrow's legs. And he didn't have to be pinned down to his car seat for hours. Passengers come and go, which also adds to the visual interest for a toddler. Your fellow riders can also choose not to sit near a little kid, unlike on a plane. The folks surrounding us seemed to enjoy the presence of our son and waved to him or said hello. Maybe he spiced up their typical commute. There was no need to arrive 2 hours in advance and still worry about getting through security. Space to stow our stroller and bag was plentiful. I'm sure this isn't the case on all trains, but we had no trouble. PRICE: it was about $16 roundtrip. We avoided outrageous parking fees in downtown Chicago and didn't pay to park at the station. The Indianapolis airport charges at least $9 per day for parking, and I think that's pretty cheap compared to many airports. Train stations are usually more centrally located. We arrived 1 block from Millennium Park, right on Michigan Avenue. So much to see and do was at our reach from the moment we stepped off the train. That's certainly not the case when flying into O'Hare or Midway. The environment. I don't know how it breaks down, but I'm certain the carbon emissions coming from each of the 30 or so folks in our train cabin would have been greatly increased had we each taken a car into the city. And that's just one cabin of about a dozen. I'd really like to explore more of the country by train. I have great memories of hopping on trains throughout Europe--no need to worry about driving in a foreign country or navigating ancient city streets. It would be so much more fun to explore nearby cities if we could get there by train. Unfortunately, that's not possible from where we live. And the options I've researched from the Indianapolis Amtrak station are extremely expensive. I dream of the day that rail travel is as prevalent, easy and affordable in the Midwest as it is in Europe or other areas of the world. What about you? Have you taken the train recently? Love it? Or hate it? 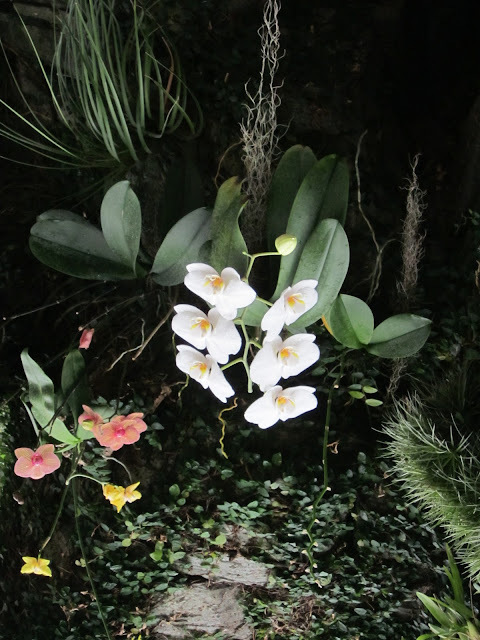 This post is a part of Mondays are for Dreaming at The Mother of All Trips and Top Ten Tuesday at Oh Amanda. One weekend back in November, we headed out for an overnight at the Abe Martin Lodge at Brown County State Park (I've written about our love for this beautiful park here). The best part about a stay at this cozy inn during the winter months is the indoor aquatic center (free when you stay overnight). I wrote about the pool at the Indiana Insider a few weeks ago. Every once in a while, despite my best efforts to plan the perfect outing, we experience a little hiccup. Once we got checked in and suited up to spend a couple of hours in the pool, we walked in and immediately the lifeguards blew their whistles and announced the pool was closed for the next 15 minutes. Try telling that to a toddler who sees a really fun place to play! It was a good lesson in patience. By the time the 15 minutes was up, the arrow was practically jumping in (and he's normally pretty skiddish of the water). 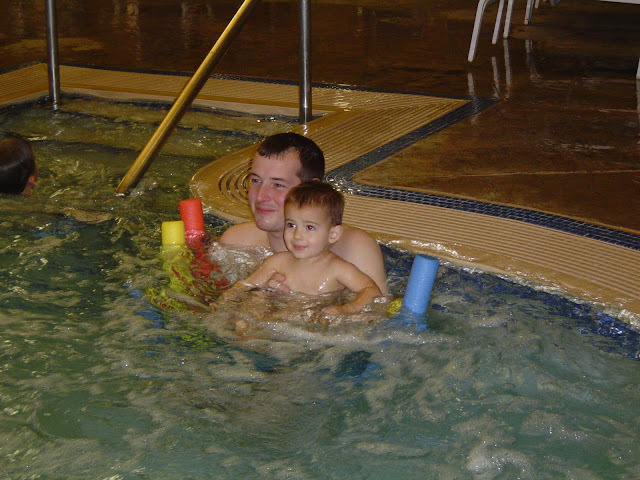 Needless to say, he spent the next couple of hours splashing around in dad's arms and having a grand time. He even asked to go back to the pool for some more fun after dinner, which we happily obliged. The pool is a great spot for kids of all ages. It has a zero-entry splash area that's only about a foot deep, perfect for little toddlers. There's also a fun waterslide and a mini lazy river (which you float around on those noodle rafts!). We had a wonderful time that weekend. It was a little taste of summer fun in the dead of winter. In other words, it was the perfect cold weather outing, 15-minute pool closing aside. The theme at I Should Be Folding Laundry's photo linkup this week is happy. 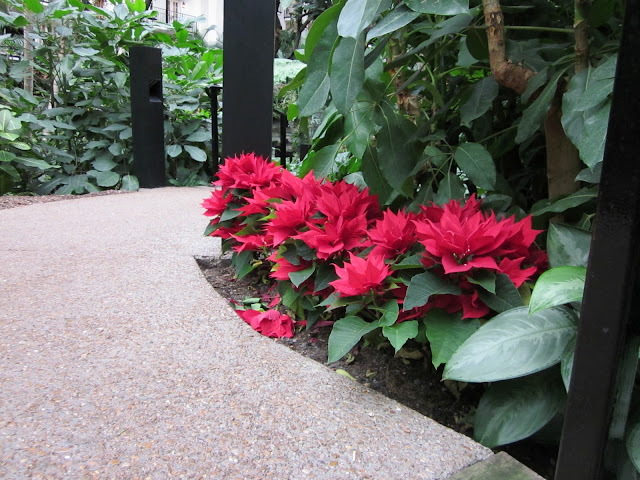 A big dose of Opryland happiness was the cure for my winter blahs, and I'm glad I could share these photos in case you needed some too. 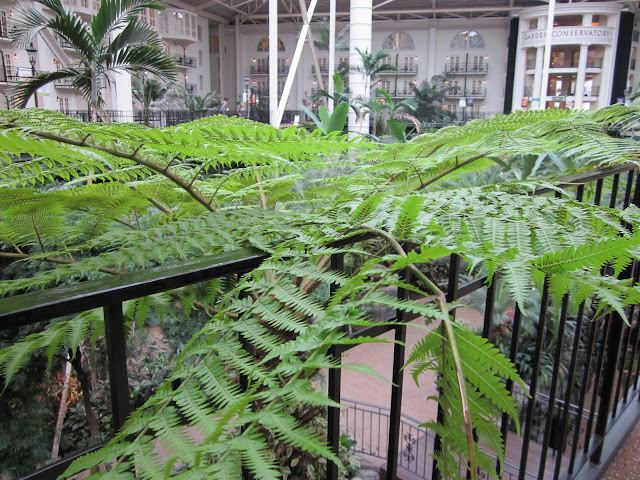 Look for more photos from my time at the Opryland in the weeks to come. I've been lucky enough to visit some of the best art museums from around the world, like the Louvre, the Prado, the Uffizi Gallery and the Art Institute of Chicago, but I'll be the first to admit that my knowledge of art, art history and artists themselves is a little fuzzy. Instead of getting caught up in all that I don't know, I just try to enjoy discovering what I like and which artists capture my attention. 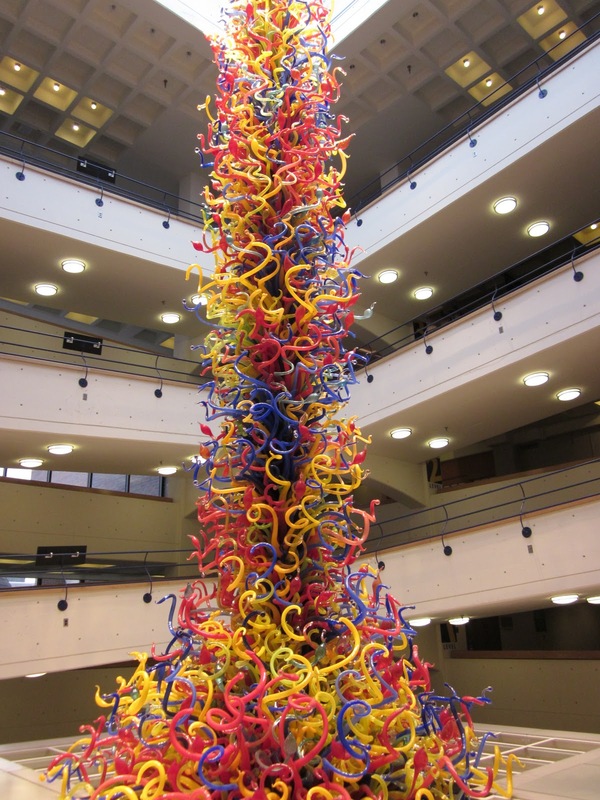 I'm typically drawn to colorful, cheerful pieces (especially those inspired by nature) and so it will come as no surprise that one of my favorite artists is Dale Chihuly. His glasswork is often full of whimsy and certainly never dull. The museum did more than give this sculpture prime real estate. It also created a hands-on exhibit for kids to explore. I knew the arrow would love it and so we headed straight there when we arrived. 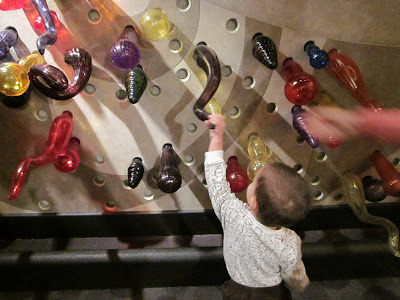 At this exhibit, he could pick up various "faux" glass pieces, which look exactly like those on the sculpture, and move them about, connect them in various places, and get a sense of the enormous puzzle that had to be solved in order to build Chihuly's work of art. He loved seeing all the colors and feeling the various textures and figuring out all the shapes and how he might be able to place them. And as a parent, how fun is it to let your child touch the art? 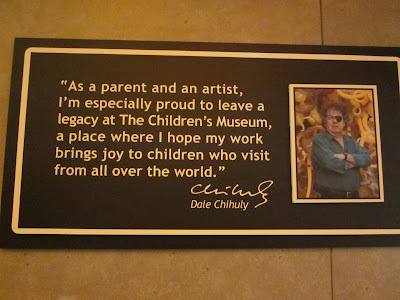 When we got home from the museum, I did some more research on Chihuly. While I've always admired his work, I never realized that he's everywhere. This list on his website details all of his public installations around the world. According to this site, he has work in 33 states and 12 countries. (I'm proud to say that there are two sculptures here in Columbus, Indiana!) Now that I know the arrow is equally enthusiastic about Chihuly, I'm daydreaming of going on a Chihuly-inspired trip around the country and the world. Wouldn't it be fun to see them all? I loved this quote on display at the museum here in Indianapolis. 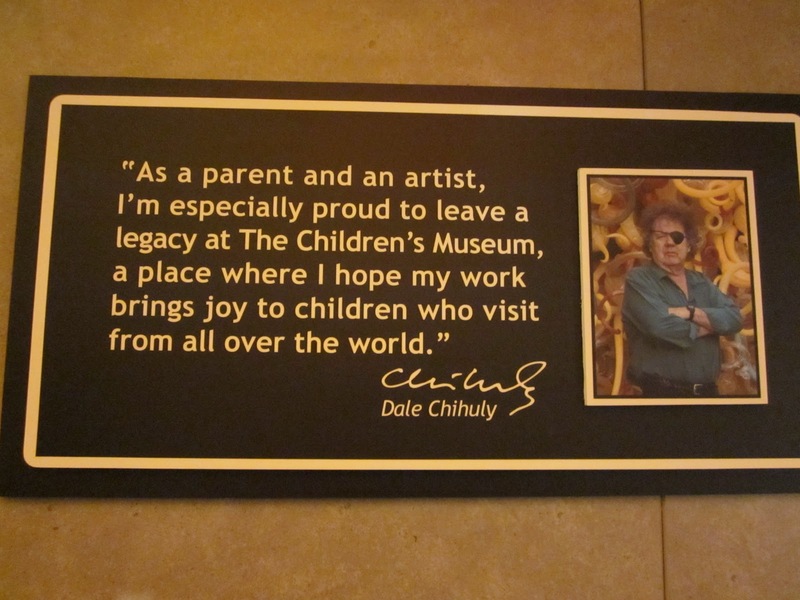 Mr. Chihuly, I know at least one child who was full of joy after experiencing your creative genius. Bravo to you and your team for executing such a masterpiece and bringing it to a space to be enjoyed by so many children. 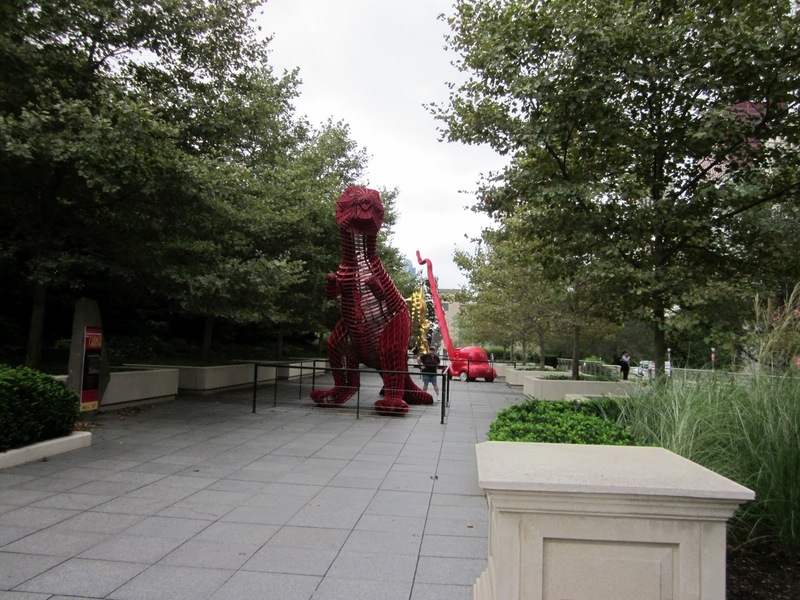 Check out my tips for visiting a children's museum if you're planning a trip to the Children's Museum of Indianapolis (or any other museum). This post is a part of Mondays are for Dreaming at The Mother of All Trips and Spotlight Thursday at Trekaroo. Disclosure: My admission to the Children's Museum of Indianapolis was complimentary. I was under no obligation to write about our time there. The opinions expressed here are my own. 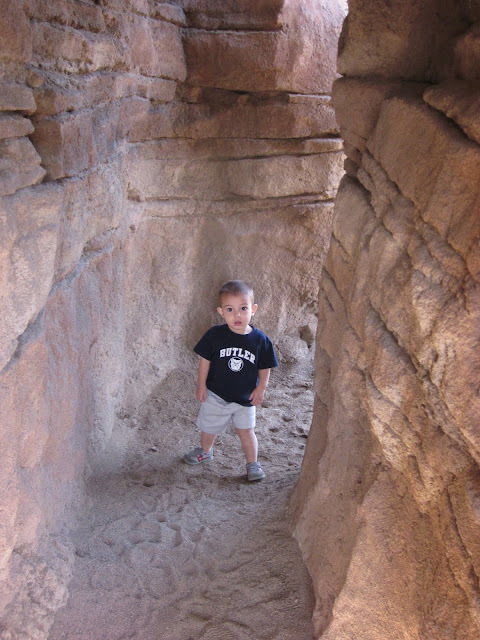 Without a doubt, a true highlight of 2010 was our October trip to Phoenix. We stayed at the Canyon Villas, a Marriott property. One of my favorite features of this resort was its playground. Such a fun spot for the arrow to romp around a bit. It had a unique look to it, very different from the playgrounds we see around Indiana. Clearly the resort was trying to ensure it blended in with the desert feel. It was certainly a hit with the arrow. I've mentioned this kid LOVES animals, right? This post is a part of Photo Friday at Delicious Baby. To see other photo reflections on 2010, click here and here. I tackled another travel-inspired recipe this week that I'm thrilled to share with you. 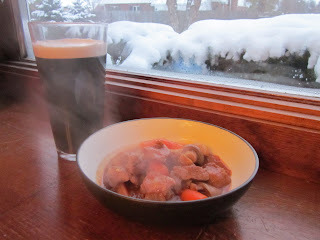 This recipe for Beef and Guinness Stew was sent to me by a new friend of mine, Amy Lynch. I met Amy on the Hendricks County Convention and Visitors Bureau holiday tour that I've written a little about (here and here). Amy has a great food-focused blog, called Amy's Adventures in Food. Her culinary prowess is really impressive (as is her writing), and I know I have a lot to learn from her. Her husband is Irish, and she is well-traveled around Europe. My husband spent one semester in college living in Dublin and attending University College Dublin. I was lucky enough to spend about 10 days my senior year visiting him there. I fell in love with the beautiful scenery, the friendly people, and just the overall spirit of this country (my husband was already head over heels in love, having had a 3 month head start on me). There's not a doubt in my mind we'll return there, hopefully soon and hopefully often. Much like the time we spent there together in college, I envision long walks and bike rides through the lush, green countryside, followed by hours spent sitting in charming pubs, listening to live music, sipping pints of beer. And this is just the type of dish they'd serve me up in my Irish dreams. Since much of the country, including my home, has been buried in snow the past few weeks, let me assure you that there's never been a better moment to whip up this delicious stew. Thanks so much, Amy! Toss the meat in a bowl with 1 tbsp. oil, then sprinkle the seasoned flour mixture over the meat and toss to coat with the flour. All ready to go in the pot! 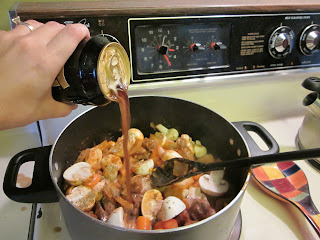 Heat the remaining 2 tbsp oil in a large stewing pot over high heat. Brown the meat well on all sides. Add the onions, garlic and tomato paste. 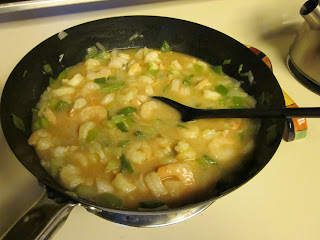 Reduce heat to medium, cover the pot, and cook for about 5 minutes. 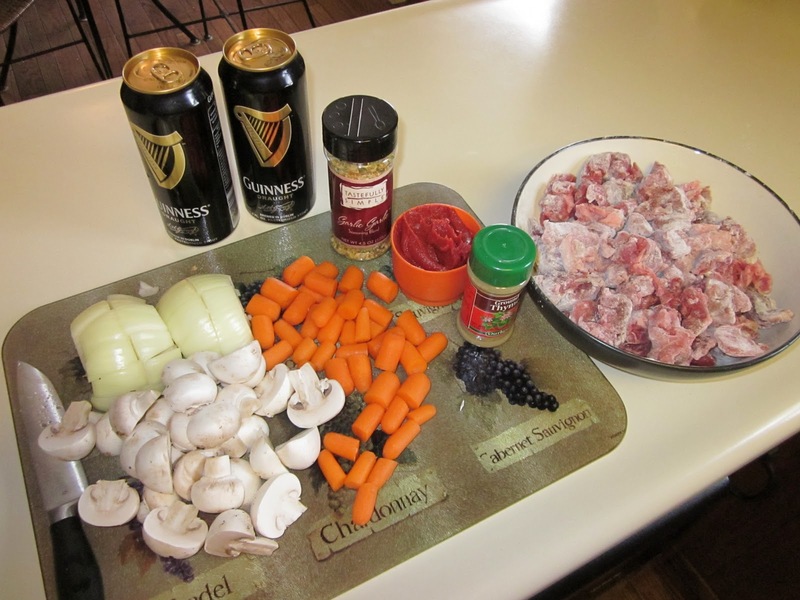 Add the carrots, mushrooms and thyme, then pour in enough Guinness to cover everything. Stir well, gently scraping up any browned bits from the bottom of the pot. Bring to a boil, then reduce heat, cover the pot and simmer gently for 2 to 2 1/2 hours, stirring occasionally, until the meat is very tender. Salt and pepper the stew to taste. Serve with roasted or mashed potatoes and a hearty bread to sop up the gravy. (This is also great to make in a crock pot-just throw everything in and cook on low for 6 to 8 hours or high for 3 to 4 hours). This was the perfect recipe for me, because I could prepare it while the arrow napped in the afternoon, and then just had to stir every once in a while as we waited for dad to get home from work. The best part about this recipe was the smell. I texted my husband around 4 p.m. with this: "It smells like Ireland in here." Now that's traveling from your very own kitchen. Steamy goodness on a cold, snowy day. A few weeks ago, the arrow and I visited the Children's Museum of Indianapolis. It's the world's largest children's museum (and while this might not be measurable, I would also argue the world's best). This weekend, we visited the children's museum here in Columbus, Indiana called Kidscommons (much smaller, but still lots of fun). I have several posts planned to share all the fun we had during our visits, but I'd like to start with some tips that are applicable for many museums. 1) Know your limits. The Children's Museum of Indianapolis is so large we could have spent three days there. But like most kids, the arrow is at his best when he's rested and fed. So we planned to only be there for a couple of hours. We can always go back and see some of what we missed another time. 2) Research the exhibits in advance. Because this museum is so large, I wanted to be thoughtful about which exhibits to visit since I knew we couldn't see them all. What's age appropriate? What interests your kids? Also, check to see if an exhibit is scheduled to end soon. If it is, and your kids would like it, make that a priority. 3) Plan ahead. Many museums have at least one day a week when they are closed. For the Children's Museum of Indianapolis, that day is Monday. 4) Food. I'm not a huge fan of museum cafeterias. I think it's a little like eating at an airport--overpriced, few options, nothing special. The Children's Museum of Indianapolis has a perfectly decent cafeteria, but you can also bring your lunch. We were ready to leave by the time lunch rolled around, so we just went somewhere outside the museum. You might try to figure out what options you have in advance. No one makes wise choices on an empty stomach. 6) Buy tickets in advance. This is particularly true if you don't arrive early (see above). Many museums offer this option on their websites, including the Children's Museum of Indianapolis (click here). We all know kids don't like to wait in line, so save them one less experience doing that. 7) Think about ticket options. Depending on how often you plan to visit a museum and how many people are in your family, a membership might make a lot of sense. Many museums have free days or times, but it's often crowded during those periods. If you buy tickets just for the day, but decide you want a membership later, many museums will apply that day's admission toward the membership. So save your receipt. 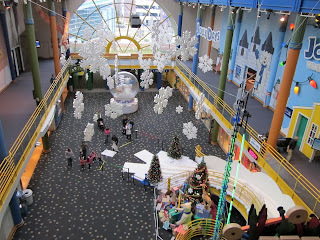 We planned our visit to Kidscommons when my mom's group organized a group outing, so we saved a lot that way. 8) Meet or bring a friend. 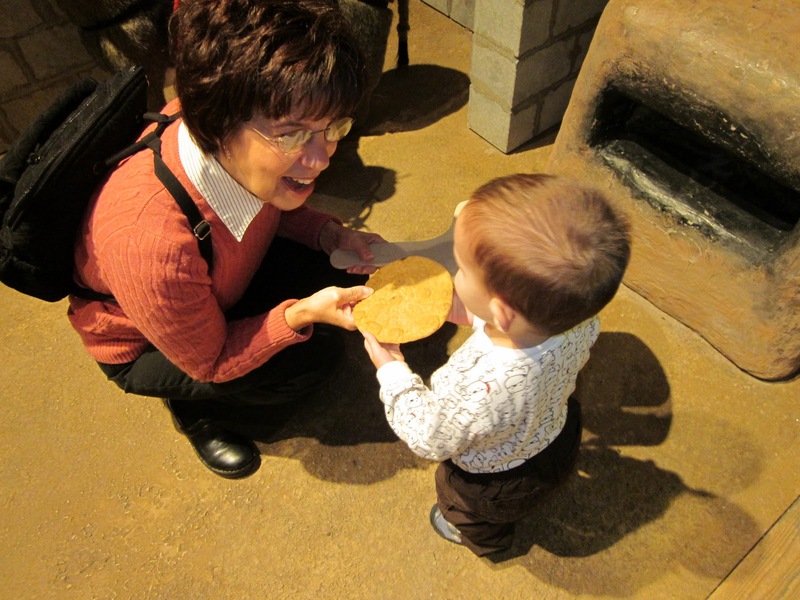 My mom joined us the day we visited the Children's Museum of Indianapolis. While I certainly could have handled the trip alone without any trouble, it was nice to have a second set of hands to take pictures and such. It was clear at this museum that many moms had met up so that they could spend some time together while their kids had fun, too. Great idea. 9) Pack light. My trusty backpack was stocked with hand sanitizer, diapers, wipes, snacks, etc. The arrow was so fascinated by all there was to see and do that we didn't need a thing. There was sanitizer all over the place, which I'm sure is common in most children's museums. 10) Have fun. 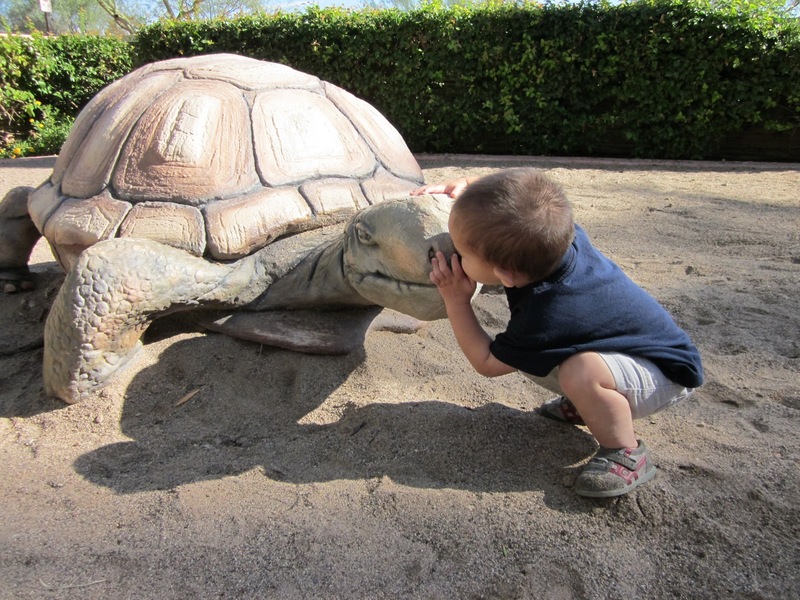 Bring a good attitude and a childhood wonderment and you'll have a great time. There's nothing like watching your child learn and experience new things. 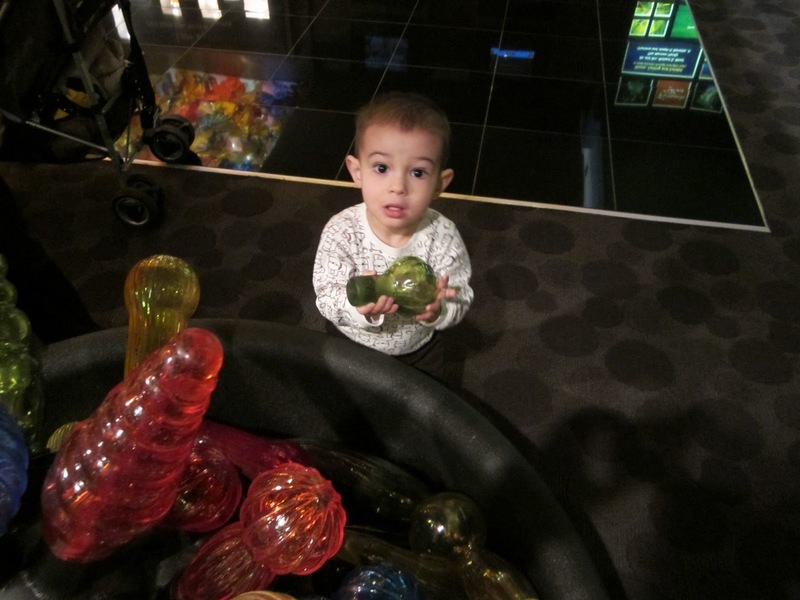 If you plan to visit the Children's Museum of Indianapolis, you might save a few bucks by reading this post from Indy's own Queen of Free. She's often asked how to save money at this museum. Much of her advice is applicable to any museum. Do you have any tips to share to make a trip to a museum more enjoyable for all? This post is a part of Top Ten Tuesday at Oh Amanda. I mentioned last week that I wanted to take a look back via photos at some of my favorite outings of 2010. 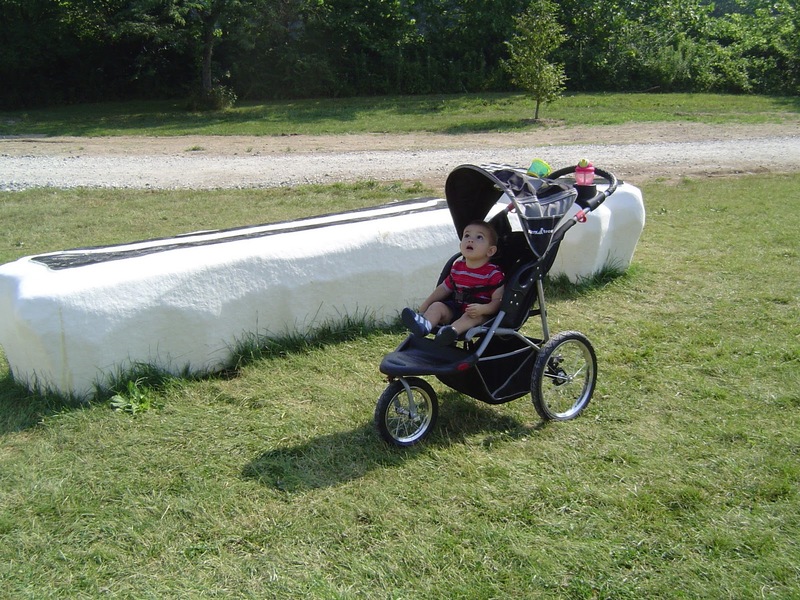 Today I bring you one of our best: a morning at the Indianapolis Museum of Art's 100 Acres outdoor arts park. It combined two of my goals as a parent: allowing my child to experience the great outdoors and introducing him to cultural activities. Last week, I told you about my efforts to learn to love cooking again. Thanks for all the recipes that have come my way--please continue to share with me! I can already sense that there will be some seriously good eats coming out of my kitchen this year. I tweaked the recipe just a bit, so what I'm posting below reflects how I prepared the dish, not exactly what you'll find in the cookbook. measuring, etc.) while the arrow was napping. 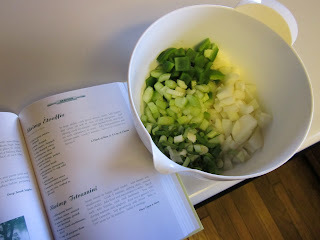 In a large skillet (I used a wok), cook green onions, onion, bell pepper, and celery until soft in olive oil and butter. Add shrimp, cook 10 minutes. Add chicken broth and thicken with cornstarch in water. Add Worcestershire and tomato paste. Cook 5 minutes. Serve over cooked rice. 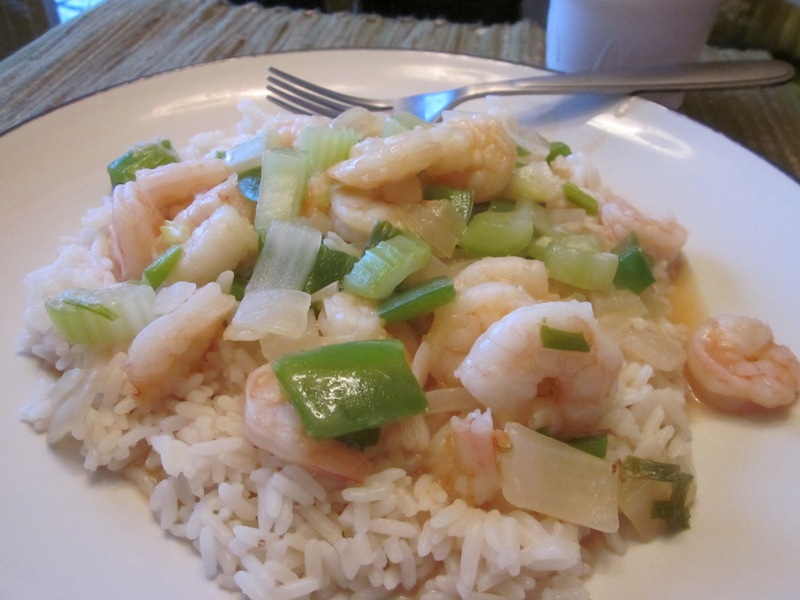 We loved this recipe, and I'm confident I'll make it again. It was quick, easy and much healthier than the etouffee I get at Yats (although not quite as good!). Prepared as you see above, it's almost like a stir fry, but a nice change of pace from the soy/teriyaki sauces I usually use. We did find it a little bland (my husband and I both added a little hot sauce), so I'd like to add some more seasoning next time. Probably some fresh garlic and cajun spices. I might not use 2 lbs of shrimp next time either. One pound would have been plenty, and would make this a cheaper meal. One other note, if you make this: pick up some tortillas at the store along with the other ingredients you need. There will be a lot leftover, and I had it for lunch the next day as a wrap with some melted cheese on top. Delicious! *Amazon affiliate link. I've already discovered another benefit of this project. This cookbook has been sitting in my cabinet for years, but I had never made anything from it. What a shame! One of my goals since I started this blog last July has been to attend a blogging conference. I've been teaching myself everything I do here in this space completely on the fly, which has never been my preferred method of learning. And I'd really like to be more intentional about improving my writing skills, and a conference seems like a good avenue through which to do that. I also thought it would be a fun chance to meet some people in real life who share my interest in carving out space for myself on the web. I know very little about what separates one blogging conference from another. But when I read that the Blissdom conference was taking place in nearby Nashville, Tennessee, I thought it made sense to sign up. It's being held the last week in January, and I'm only going for one day, but I hope to learn a great deal and meet some fellow blogging folks. 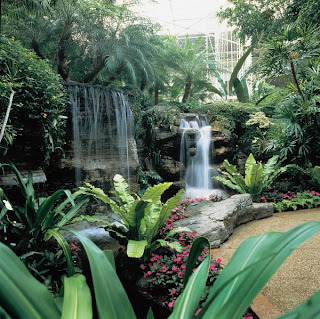 A highlight for me will be spending a night in the recently renovated Opryland Hotel. I visited this hotel when my family first moved to the midwest from Connecticut. 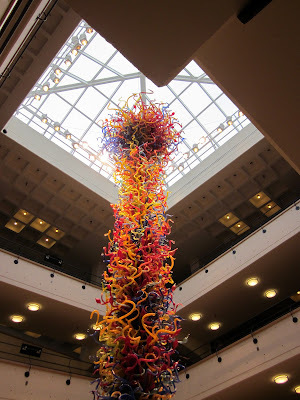 I think I was 10 or 11 years old, and I remember very clearly wandering around the hotel's giant atrium in complete awe. The lush greenery, the water, the bright flowers--I nearly convinced myself I was in an exotic jungle. I was devastated when I heard how it was almost completely destroyed during the floods that hit Nashville last spring. The Huffington Post has some astonishing photos of the damage. I worried this American treasure might never bounce back. Atrium of the Opryland. 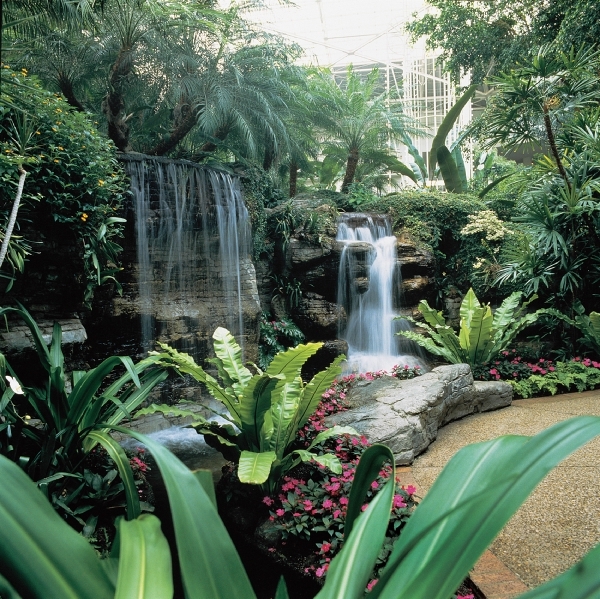 Photo courtesy of the Gaylord Opryland. But indeed it has, and today I dream of once again standing in awe in that atrium. I'm also dreaming of being able to devote a full day to learning about blogging--I hope to return home with lots of ideas to make Arrows Sent Forth a more fun and enjoyable read. Are any of you headed to Blissdom? I'll be there on Wednesday for the Wisdom Workshops and would love to meet up! I've been trying to work on our 2010 photo book this week (God bless you, Snapfish, for making that a project that now takes a few nights instead of several months!) It was a great year, full of many adventures for my family, much of which I've shared with you. However, I realized that there were a few photos from some really fun outings and trips we took this year that I never shared on this blog. How dare I keep them from you, right? So for the next few Photo Fridays, I'll be sharing some of those 2010 highlights. Let's kick things off with a fun picture from our trip to Millennium Park in Chicago. I wrote about our morning there here. You can imagine the arrow's delight when, after he was finally successful in dragging me away from the Cloud Gate sculpture, we rounded the corner and found this fun, gigantic dinosaur staring down at us. And there was more colorful, whimsical artwork to come. Don't you just love those big trees? You would never know we were steps away from bustling Michigan Avenue. We hope to make it back to Chicago this spring or summer. Another stop at Millennium Park will definitely be on our agenda. In my kitchen, I'll travel the world. One area of my life that I haven't learned to love again after becoming a mom is cooking. I really like(d) to cook. But then the arrow came along, and once we cleared out our freezer of the meals we had stocked up and friends stopped bringing food by, the chore of getting dinner on the table each night has remained just that for me--a chore. My mom is going to do WHAT?! ﻿﻿So in 2011, I'm going to try to get my cooking mojo back. And what better way than to go on a culinary adventure around the world, via my own pots and pans? I may not get to it every week, but I hope at least once a month to share a recipe and its connection to travel here with you. Warning: I'm no Emeril Lagasse--the only thing that goes BAM! in my kitchen is the arrow, banging on tupperware. So this won't exactly be gourmet, fancy stuff. I'm just hopeful that it will taste good. I hope you'll help me along the way. Do you have a favorite recipe that best represents where you live? Share it with me! Have you tried a dish on a trip that you'd like to see me make? Let me know! (If not, I'll have to put you to work dicing up an onion or washing dishes. And no one wants to do that.) I'll be posting my kitchen adventures on Wednesdays as part of the Wanderfood Wednesdays link-up at Wanderlust and Lipstick. If you blog and want to join in the fun in your own virtual kitchen, let's meet there on Wednesdays, ok? I'd love to know what's cooking in your kitchen! Four summers ago, when the arrow was not even a glimmer in my eye, my husband and I spent three weeks in Spain. It was an amazing trip and my favorite travel experience. In sharp contrast, while we were galavanting around Spain without a care in the world, my sister was back home in Indiana 9 months pregnant during an extremely hot and humid summer. I thought of her often while on that trip and made it my mission to come home with the perfect baby gift to lift her spirits in those last few weeks waiting for baby. During a day trip to Segovia from Madrid, I found an adorable board book about that beautiful city in the gift shop at the Alcazar. I snapped it up, thinking it was a great way to share memories from the trip with my sister, and yet let her know how much I had been thinking of her and my nephew-to-be. ﻿ Then I realized this board book was part of a series of books about various places in Spain. All told through the eyes of Pepe Mouse, who describes all there is to see and do in each city. And hence I dragged my husband in and out of nearly every bookstore in Spain hunting for Pepe Mouse books. We came home with books about Barcelona, Madrid and Segovia (all cities we spent a lot of time in). When I became pregnant with the arrow, my sister found the books on my nephew's bookcase and wrapped them up to give back to me. Lately, they have become the arrow's favorite bedtime reading. I couldn't be happier with his selection. Together each night, we practice counting the towers on the Sagrada Familia in Barcelona. We pretend to sip water from the aqueduct in Segovia. And we imagine rowing boats in the Parque del Buen Retiro in Madrid. Someday I hope to take him there and experience the beauty and vibrancy of Spain with him. It will likely involve a lot less sangria than my first trip, but I bet it will make for an even better vacation. For now, Pepe Mouse takes us there in our dreams each night. To see other Mondays are for Dreaming posts, please visit The Mother of All Trips. If you're planning a trip to Spain or are interested in the Pepe Mouse series of books, I found a website that carries the newer version here. The series now seems to be activity books with stickers instead of the board books we have. There are about a dozen cities in Spain represented.